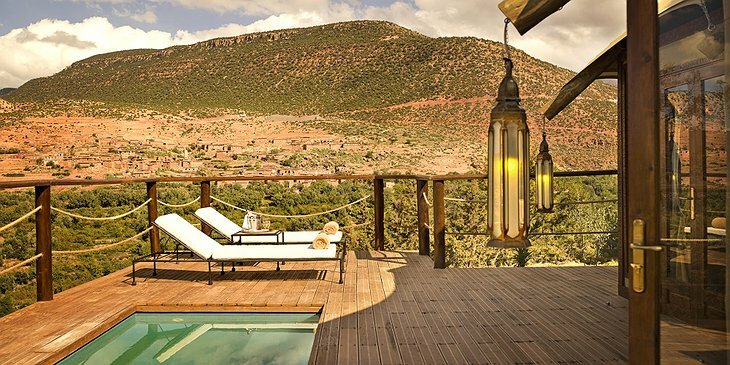 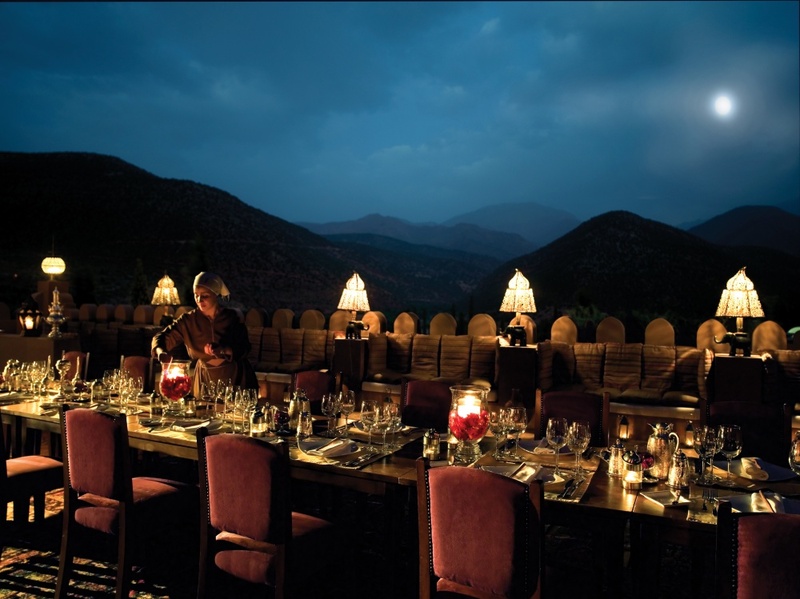 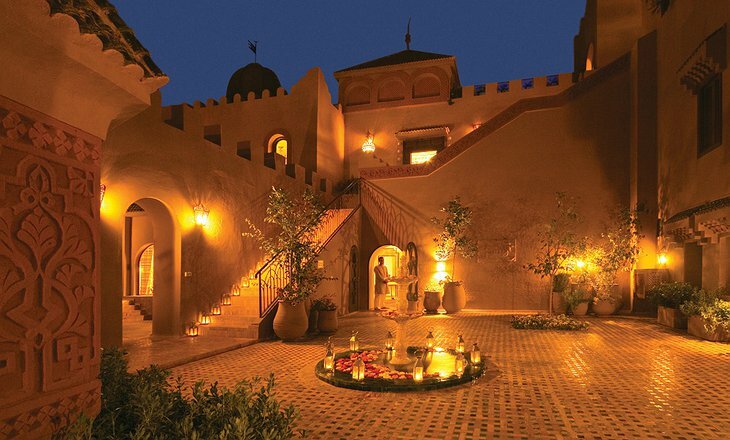 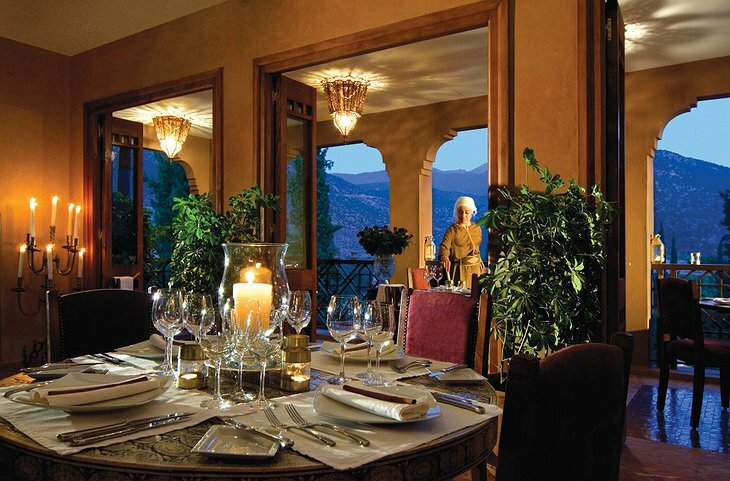 Kasbah Tamadot is part of Richard Branson's portfolio of unique retreats. 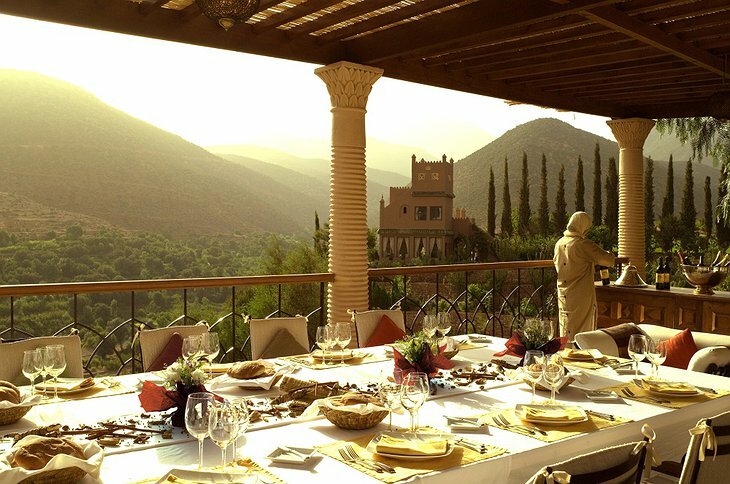 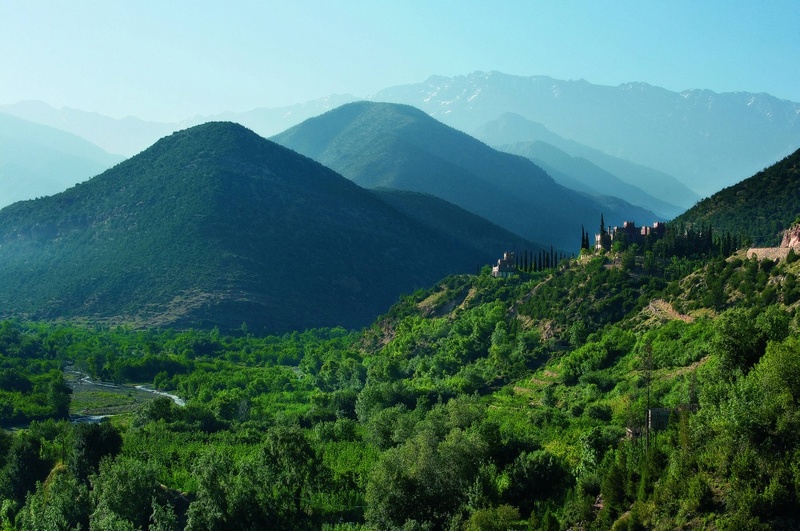 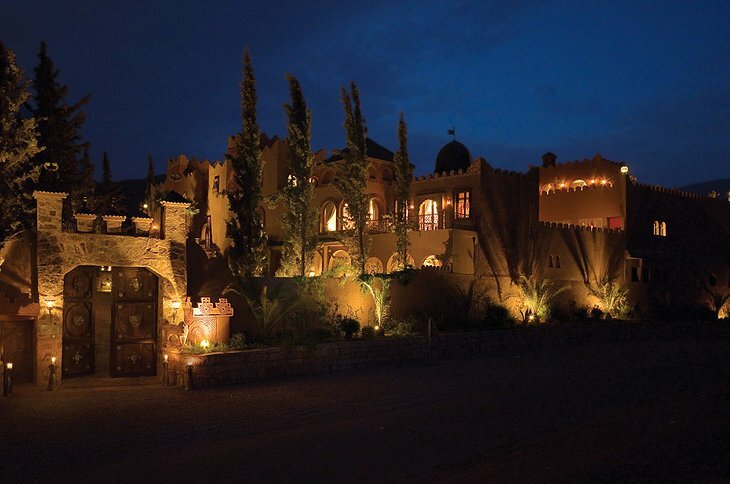 It is a traditional Moroccan castle in the foothills of the Atlas Mountains. 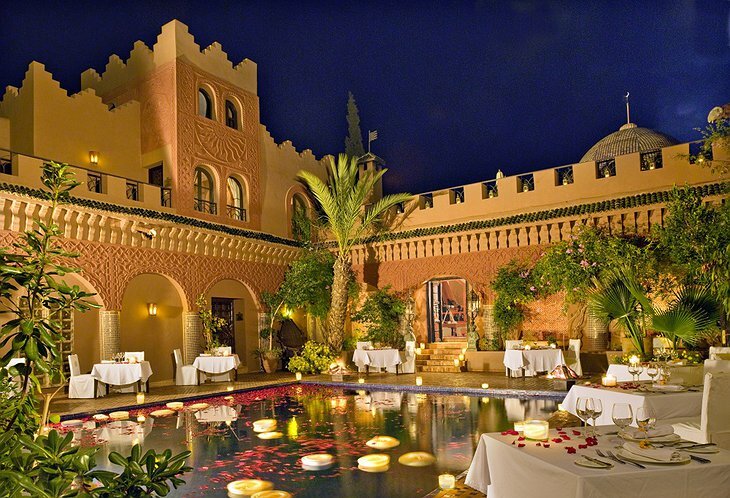 The Kasbah is surrounded by scented gardens, terraces and staircases and maintains traditional glamour. 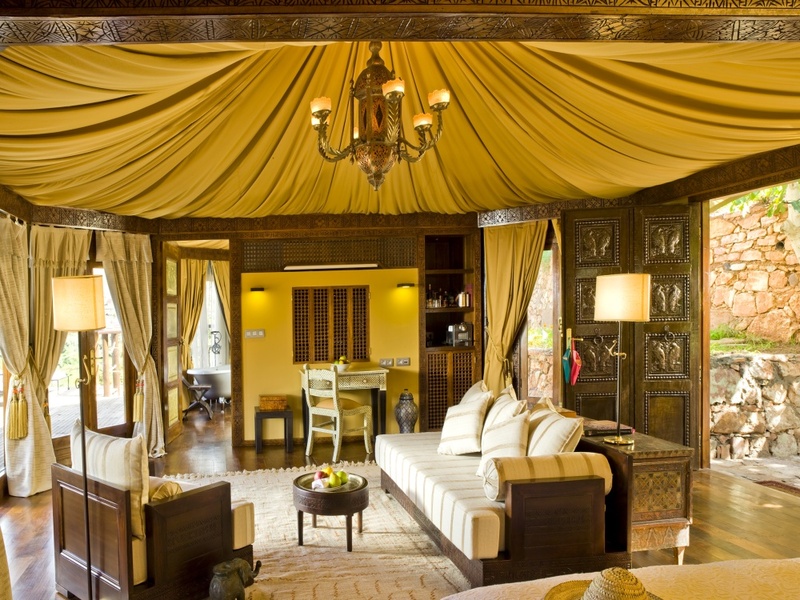 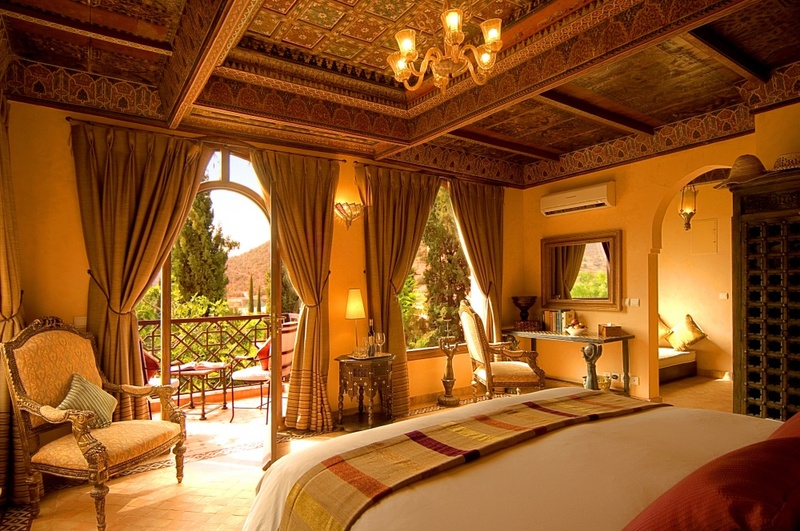 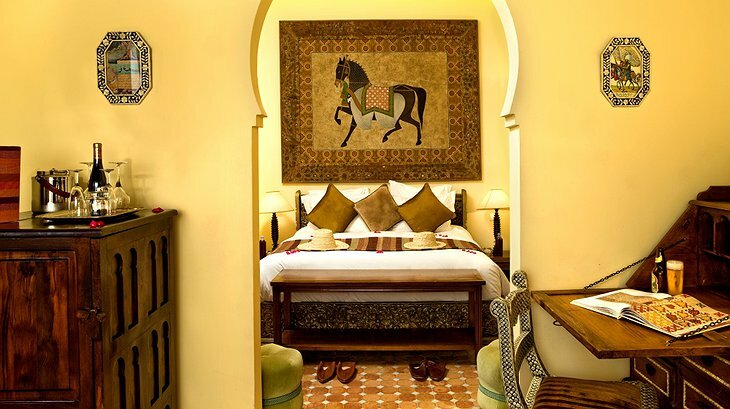 You can stay in the Berber Tent suites which are in the style of opulent North African kings of the past. 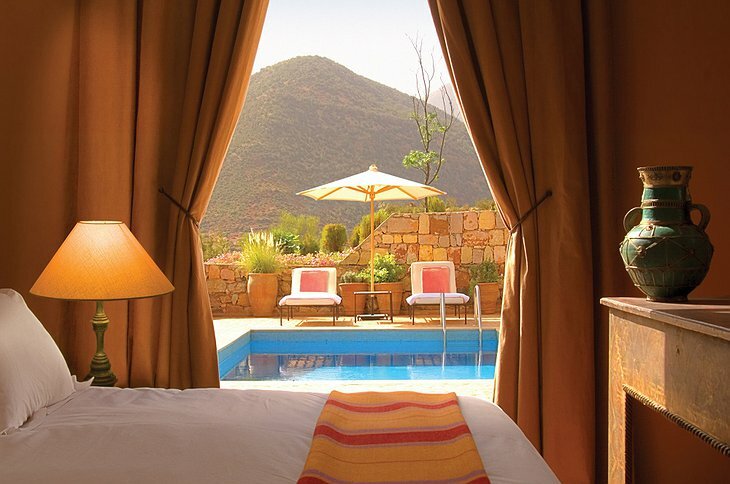 They have private decks on the mountainside and their own plunge pools. 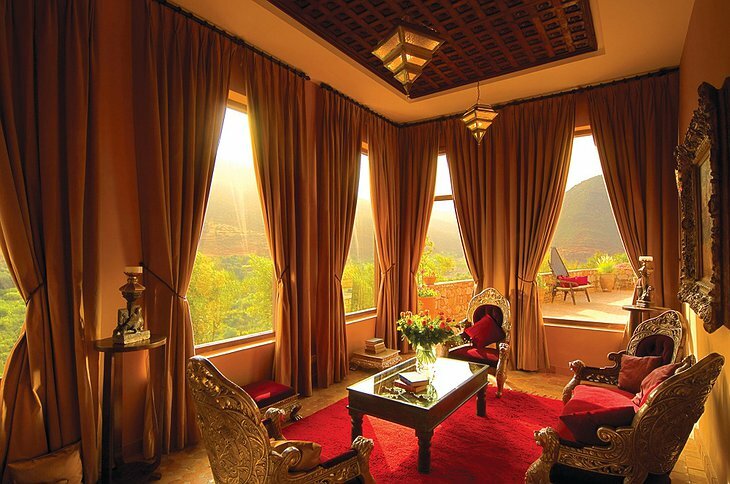 Inside the main building there is a large selection of fine suites. 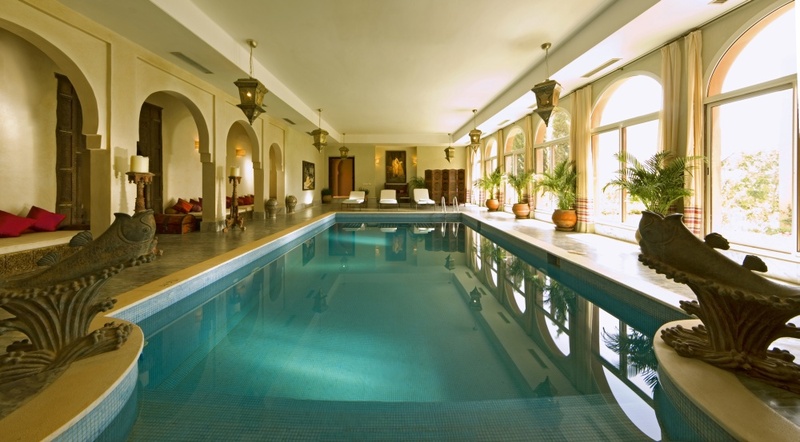 The infinity pool is surrounded by an outdoor spa, restaurant and lush gardens. The hotel was built in collaboration with the local Berber community and local people were training and taught English. 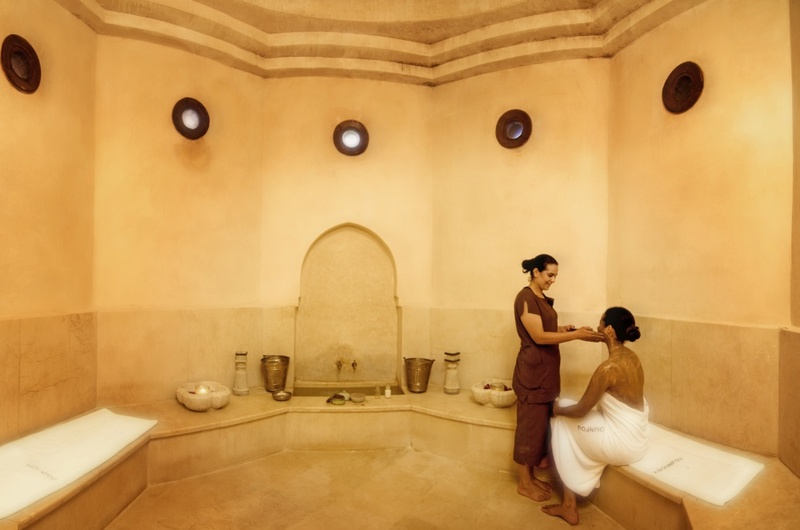 Now they make up 90% of the workforce. 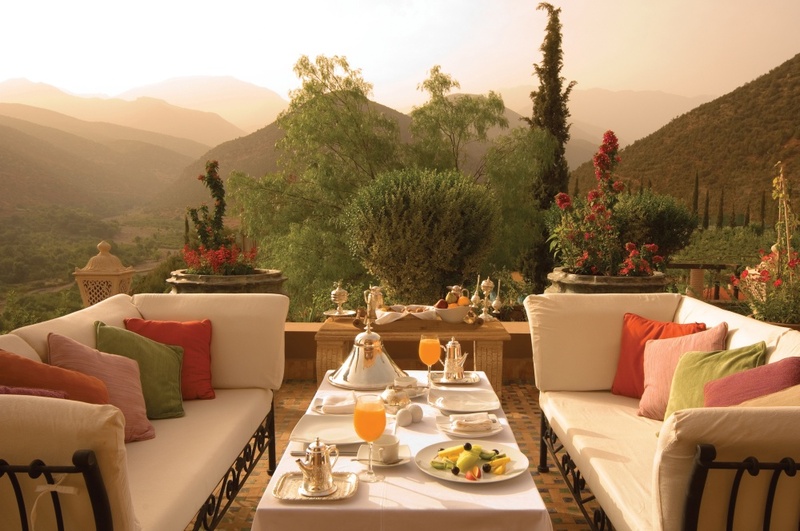 Marrakech is driving distance from the hotel and the rural areas are explorable on foot, horseback or 4x4. Food is prepared by skilled chefs who are also available to teach you the fine art of Moroccan cookery, yum!